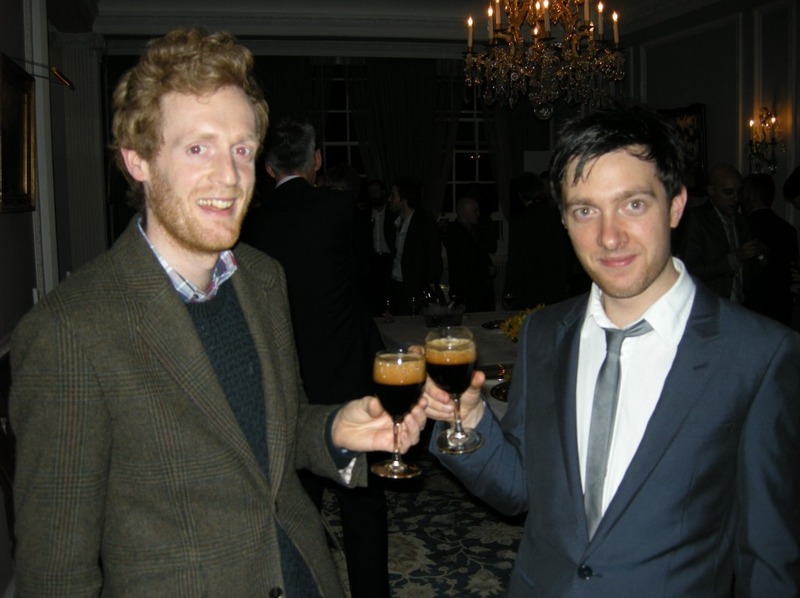 Just how much impact on the nation’s consciousness a particular advertising campaign for chocolate confectionary had was brought home to me as I bragged to friends about having been invited to the Norwegian Ambassador’s residence for the UK launch of Nøgne Ø beers. Pronounced Nurg-na Ooh (hence the title of this blog), these beers turned out to be every bit as exciting as the prospect of going to the Norwegian Ambassador’s house was. Although it’s actually 10 years since former airline pilot and now Head Brewer Kjetil Jikiun founded the brewery, whose name translates as Naked Island (which is apparently a poetic term used by Norwegian playwright Henrik Ibsen to describe stony outcrops of land visible in the rough seas off Norway’s southern coast), the ambassadorial event was the first official tasting of the beers in the UK. 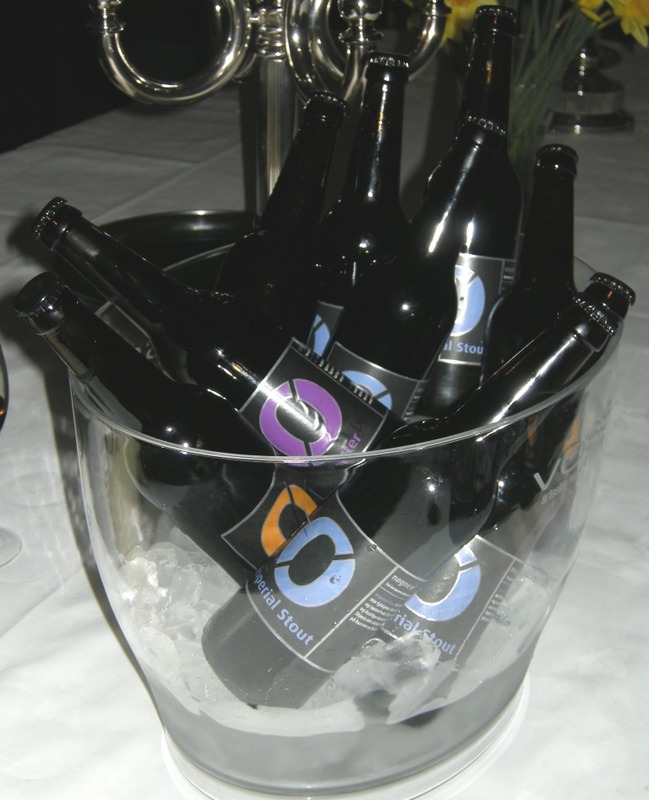 The brewery now produces more than 20 different styles of ale and we were treated to six of these at the launch. Pale ale (6%) was fruity but dry with a pleasing tongue tingling carbonation. It had a creamy citrus mousse aroma and shades of this came through as pink grapefruit in the taste and developed into a tangy, grapefruit aftertaste. Saison (6%) This was my first ever saison and a fantastic introduction to the style, which is based on seasonal Belgian farmhouse ales. It was delicate, light and spicy with an enticing sandalwood aroma. I am already looking forward to having it again. India Pale Ale (7.5%) A tasty, American style IPA featuring Cascade hops that packs a marvellous, zesty grapefruit and pineapple flavour punch. Imperial Brown Ale (7.5%) A tasty, drinkable brown ale somewhat overshadowed by the anticipation of the following two beers. Imperial Stout (9%) This was the perfect beer to end the evening with, sweet, chocolatey and satisfyingly mouth-coating it had a wonderful smooth truffley aftertaste shot through with lovely, liquorice notes. Based on the six I tried at the Norwegian Ambassador’s residence, and putting aside the less than exciting bitter I had as part of the Wetherspoon’s recent beer festival, I would say Nøgne Ø make outstanding beer. Don’t be put off by the price tag – bottles retail at anything from £5 upwards – these are beers no one should miss out on. ● Nøgne Ø is available from www.bottle-shop.co.uk (retail) and, wholesale, from www.jamesclay.co.uk. Special thanks to Ambassador of Norway, Mr Kim Traavik for hosting such a splendid evening of beer and food! Next How’s your hop knowledge?